Earlier this month, my fellow editor has this opportunity to get hands-on experience on Gameloft’s first Japanese RPG (you can read his hands-on preview HERE), and he told me it was awesome. 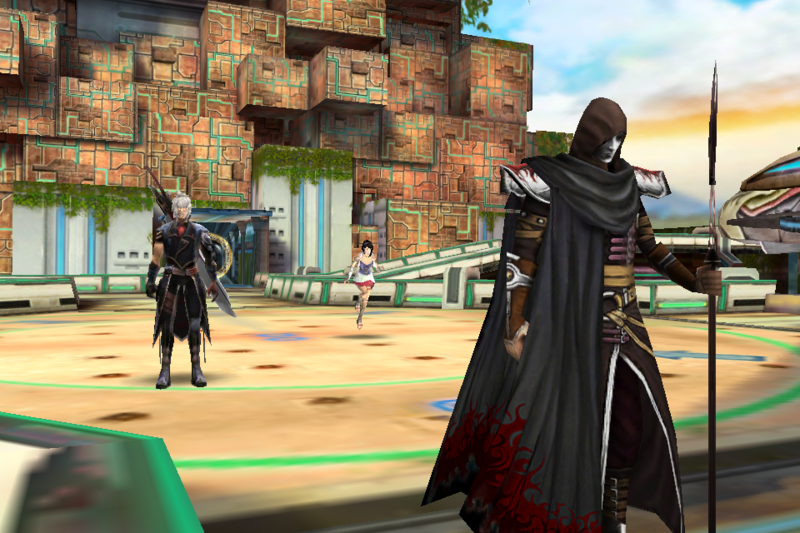 I did not quite believe him seeing that Gameloft is not the native JRPG developer, until I see the game myself. The game is fantastic indeed. It is a beautifully crafted turn-based Japanese RPG complete with features that you will rarely see on the App Store. Having played most RPGs on the Apple handheld devices, I’m completely amazed at how good Eternal Legacy is. Words could not describe my amazement, but I will try my best to give you an in-depth review of this game. 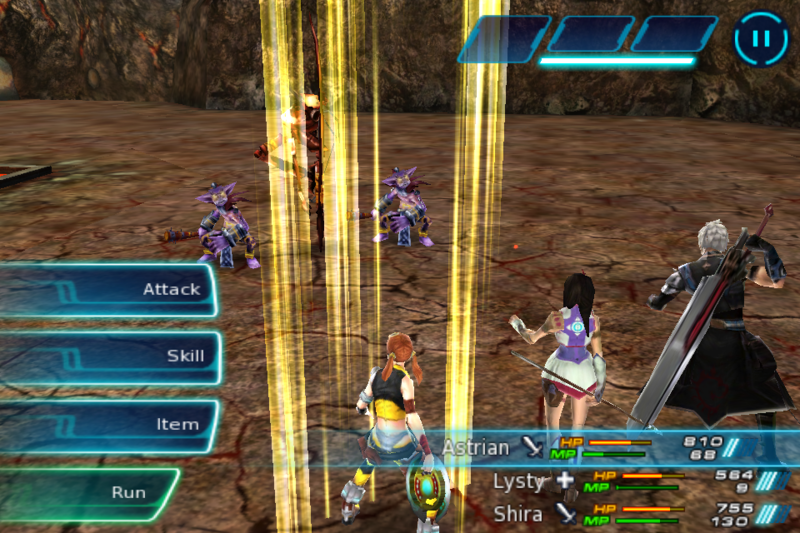 Storyline is often the most important element in turn-based RPG because the battle is usually of slower pace as compared with hack-and-slash RPG. There is a need of a compelling story to keep players in the game and I would say that Eternal Legacy did pretty well in this department. In Eternal Legacy, you play as Astrian, the shiny warrior who wields a huge blade. Apparently, Astrian is determined to find out what happened to his father when he was captured by the Algoadian guards. As the story unfolds, Astrian will discover its destiny to save Algoad from destruction in its journey with his best friend, Taric. There will be a lot of exploring and fighting to do as he delves deeper and deeper into the truth. The game puts you right into action as soon as you start playing, along with a tutorial session that introduces its battle mechanics. 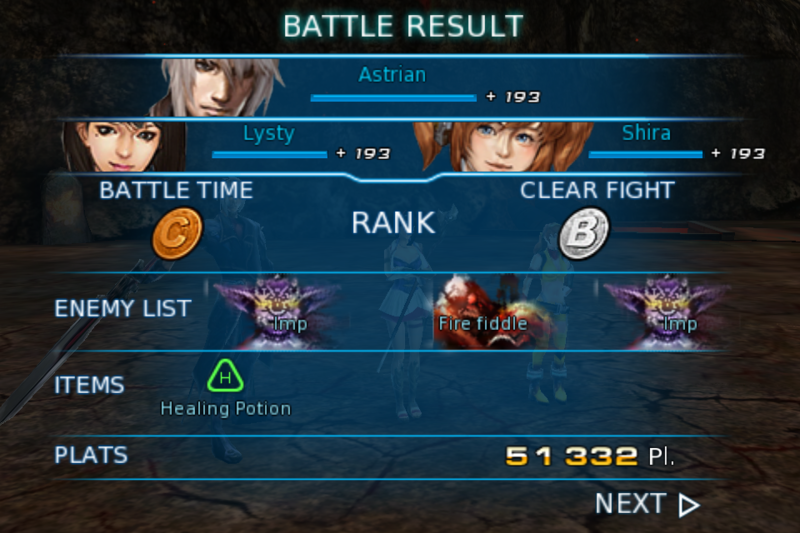 If you have played final fantasy XIII in the past, you should feel right at home here. It’s combat mechanism is the first of its kind in iOS gaming but Gameloft has executed it so well for the touch-screen devices. Basically, you get to control a party of three members, and you are given you the option to have full control of each party members or just controlling Astrian. Personally, I would prefer the former seeing that gives me more space in crafting a strategy during battles. Alternatively, you can choose to use the latter option, where you are able to assign one of the four available roles to your party members. These roles will determine the attack/defense behavior of your party members, they range from Berserker, Predator, Defender, and Healer. During battles, you can preset your future attacks by assigning multiple attacks command into the three slots available, which is shown on the top right corner of the screen. Below the slots, there is an action time gauge where it determines your attack sequences. Your queued up attack will be executed when it’s fully filled, and it fills up rather fast that the battle seems real time, which is great. I like the fact that the battle does not stop even though you did not key in any battle command, as the enemies will continue its attack sequences. This forced you to keep up with the battle throughout. Other than that, you can actually see the monsters running around on the map instead of having random enemies as you move across fields,. This allows you to run away from them if you don’t want to engage into battle. Do note that if they approach your party from behind, you will be ambushed and the monsters get the priority to attack first. In general, you will be able to roam freely in the world of Eternal Legacy to enjoy the beautiful scenery in game. They even give you a mount very early in game that allows you to move faster than the ordinary walking. (Not to forget it’s a very cool mount too! 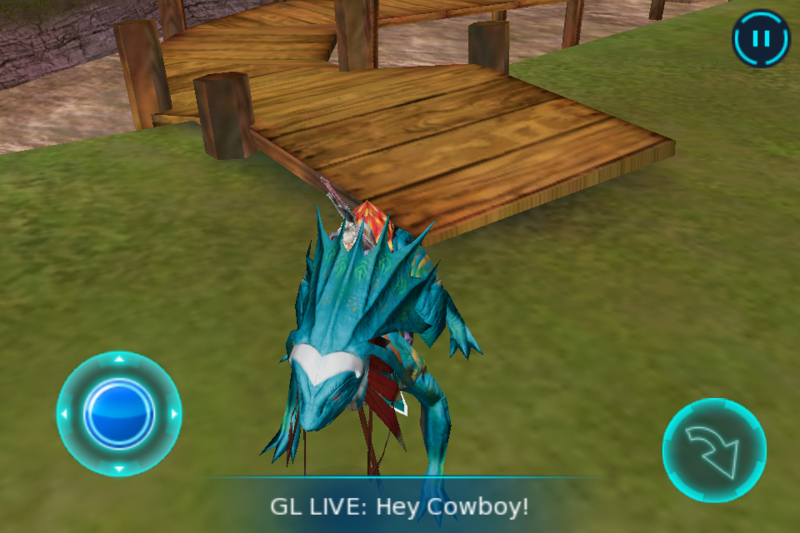 How often do you see mounts in games on the App Store?) Though, you will probably be busy as you strive to complete the many quests available, which is often accessible through the NPCs with an exclamation mark on them. Eternal Legacy also comes with an auto save feature, like most RPGs on the iOS devices. However, it does not auto saves your progress every single minute. Instead, it only auto saves your progress when you move into a new area. Not to worry though, there are many crystal spreads across the game world that allows you to manually save your progress into one of the three save slots available. The game also supports the multitasking feature in iOS4, so no worries when you receive a call or a text message while you play as you can always switch back to the game from the multitasking panel. Let’s just say, I’m completely blown by its graphics, especially on the Retina Display screen. Don’t get me wrong, it looks great on non-Retina Display screen too! The game simply looks fantastic, much better than any Gameloft’s past releases. It has a huge three dimensional world that seems to be the cross between sci-fi and fantasy. Spells attacks are very pretty to look at, character models are beautifully crafted, and the environment looks so lively. Voice acting is okay in this game, it could use a little more work in the lip-sync part, but it’s no big deal. You could always turn them off in the option and listen to your iPod playlists. 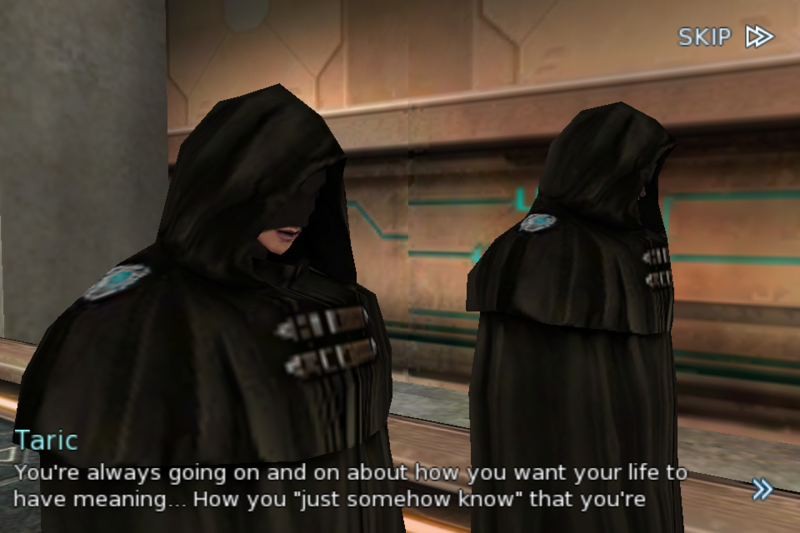 We rarely see voice-overs in RPG on the App Store anyway so this shows how much effort Gameloft has put into this game. Apart from that, they have included a great mix of background music and realistic sound effects in this game that helps immerse you into the game world throughout your gaming session. Overall, It would be safe for me to say that this is probably one of the best turn-based RPG that I have seen and played on the iOS devices. Honestly speaking, I would expect this to be on the Playstation or the Xbox by just looking at how robust it is in terms of gameplay, storyline and graphics. Not to forget Gameloft is one of the few game companies that include so many language translations in its game to serve a larger pool of gamers. This is a game not to be missed, especially when you are an RPG fan like me. It truly redefines what the Apple mobile devices are capable of, and I’m seeing great possibility here. This is Joey here, a female gamer from Malaysia.